This ring is incredibly beautiful! 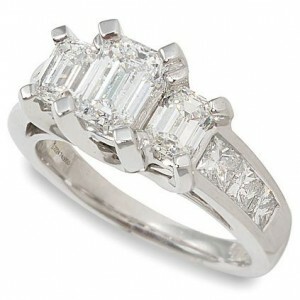 The emerald cut on the diamonds is just stunning on this ring. This is one of the most elegant 3 stone diamond ring I have ever seen. To learn more about this ring, please click here.